Most hospitals today use the third generation of Electronic Health Record (EHR) systems which routinely need to be retooled, upgraded, and optimized to meet changing healthcare regulations. “For instance, a transition from fee-for-service to a value-based reimbursement system is not supported by most EHR implementations,” points out Gerry Bartley, Chairman and CEO, Health Systems informatics (HSi). “Unavailability of a significant amount of quality healthcare data that can be managed, extracted and delivered, contributes to the existing challenge.” To encourage patient accountability and engagement as a part of an effective population health management initiative, hospitals today are keen on ensuring easy accessibility of healthcare data for patients’ perusal when they log in to the health system. “This plays a critical role in turning around the detrimental trends in the management of chronic diseases,” adds Bartley. Addressing the crucial requirements for a value-based population health strategy, WA-based HSi works with organizations to identify high-risk patient populations and establish strategic health goals, while enhancing the EMR/EHR systems to meet regulatory requirements. “We combine our extensive expertise with a unique service-based model to help clients optimize and get the best out of their EHR systems,” emphasizes Bartley. 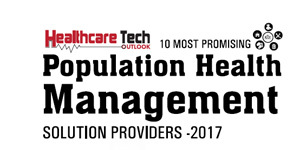 HSi’s delineated population health management program acknowledges a program’s complexity by offering assistance in the various stages of deployment—strategic planning, organizational readiness assessment, charter and governance development, patient identification, risk stratification, change management, workflow modification, and analytics. To successfully navigate each stage with experienced resources, HSi supplements needed expertise with program management, EHR enhancement/optimization, and data and information management skill sets. In one instance, a remote hospital in Hawaii leveraged HSi’s services to transition from paper to a state of the art EHR system. “HIMSS (Healthcare Information and Management Systems Society) has defined three levels of accomplishment using automation, adoption and optimization to improve the quality of care and patient safety. But, the organizations need to be brought to those high set outcomes, reporting, and service levels,” explains Bartley. HSi helped the client implement an EHR to attain HIMSS Stage 6 and Stage 7 by connecting ancillary department systems to the EHR. Ultimately achieving pinnacle level, the Nicholas E. Davies Award for Excellence was received recognizing the outstanding achievement of utilization of health IT to substantially improve patient outcomes while achieving return on investment. Additionally, HSi proffers an annual installation support contract, to the benefit of remote/smaller healthcare facilities burdened by stringent healthcare recruitment rules. Based on the facilities’ support requirements, HSi provides certified consultants with the required skills to support EHR and other clinical implementations. The firm also offers an assortment of internal management services across diverse areas such as application management, interim hospital department leadership, project management, and data and reporting. Moving ahead, HSi wants to focus on supporting the C-suite in healthcare organizations with effective executive oversight, actionable information, and ROI presentations to senior leadership. Committed to assisting healthcare managements achieve process and outcomes optimization through a value management program, HSi offers clients a proprietary measuring tool—valueTRAX. The firm collaborates with the best care teams and facilities dedicated to providing technology-enabled care. HSi employs their own proven methodologies developed in collaboration with healthcare specialists, and has regularly published white papers that convey positive outcomes are attainable. “We work to measure the value of our client engagements. It translates into our commitment toward being a trusted advisor in the truest sense of the word,” concludes Bartley.